The Town of Clarenville realizes the importance of healthy living, thus the town is fortunate to have many indoor and outdoor facilities, offering a variety of sports and recreation programs that play a key role in making our town such a great place to live. 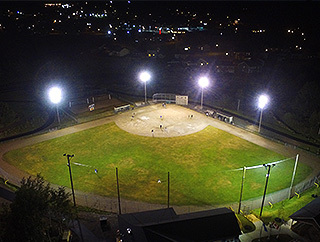 Clarenville has three well-maintained softball fields with one equipped with lights for night playing. The fields are home to minor softball and recreational slo-pitch softball. Each year, these fields play a host to a number of tournaments by area residents, school teams and recreational leagues. In the summer of 2006 Clarenville officially opened a new soccer pitch located behind the Clarenville Middle School. The pitch, which is home to the Minor Soccer Association, can accommodate three soccer games with regulation size nets simultaneously. It is surrounded by a 400 meter asphalt track. Cheer on your team while taking a stroll! 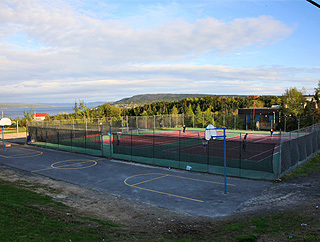 Clarenville provides regulation-size public tennis and basketball courts in the centre of town. The courts are available on a first-come, first-serve basis and court usage is free. The Clarenville skateboard parks, located on Legion Road and Riverside Playground, have something for everyone regardless of age or skill level. The parks are paved and include rails, quarter pipes and ramps. The hours are daylight hours only and admission to the parks is free.